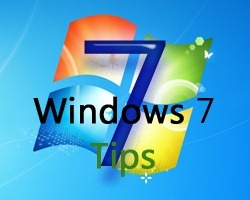 I am starting a series of articles here on my blog titled the 7 Windows 7 tips for week WW-YY… which (obviously) will be a weekly installment. If anyone of you out there have any tips or tricks you want to see here feel free to contact me through the comments section of this post.. I have loaded your blog in 4 completely different browsers and I must say your blog loads a lot faster then most. Good write-up. I certainly love this site. a great article… but what can I say… I put things off a whole lot and don’t seem to get nearly anything done.